At our Small Group Bible Study Tuesday night, we discussed the verse that talks about the branches being connected to the Vine. Of course, there were tons of ideas & thoughts about the matter, especially when it comes to the idea of being PRUNED - OUCH! Then yesterday, I started a new book that I've been so anxious to read. 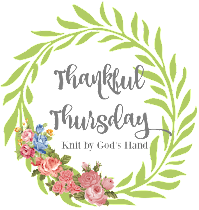 I was just waiting for it to get closer to the Holiday's because it involves Christmas & 3 angels named "Shirley, Goodness & Mercy" - (Ho w cute is that!) 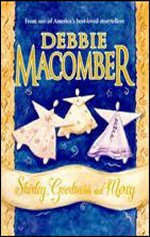 It is by one of my favorite authors that I've mentioned before, Debbie Macomber. I'm going to love it because these angels are always doing something mischievous when trying to answer prayers for people on Earth. .....I have to tell you, its so cute how they are introduced. Gabriel hears the familiar voice of Shirley. And it says, "Shirley was visiting, & where Shirley was, Goodness & Mercy were sure to follow" - I'm going to LOVE this book! Anyways - the person they are going to help in their time of need is a Wine maker!!! It starts off immediately talking about vines & fruit that is produced & how a disease ruined the branches destroying the grapes that are so vital to this man's career. Talk again of how important it is to be connected to the vine to produce fruit. Is this man being "pruned"? God is already sending these angels to help him with this pruning-process! I just thought it was funny how the timing of it all works out. I love when God throws "coincidence's" in life - a message to be learned? A whisper from God? I'm anxious to see how the story ends. I'm suspecting his branches are going to be producing a great deal of wonderful grapes! So in our own lives - we need to stay connected to that vine, even when we are going through the process of our own pruning - because as the verse says, "apart from it, we can do nothing!" And I think God does send "angels" to help us through the whole pruning process too - whether it be Heavenly or Earthly ones. I just hope my angels are as energetic & mischievious as "Shirley, Goodness & Mercy"! Blessed is the person who stays connected to the vine during a season of pruning, for they shall see magnificent growth in the near future! Is that like one of the beatitudes or something? Well...it should be!